This is a wonderful idea. 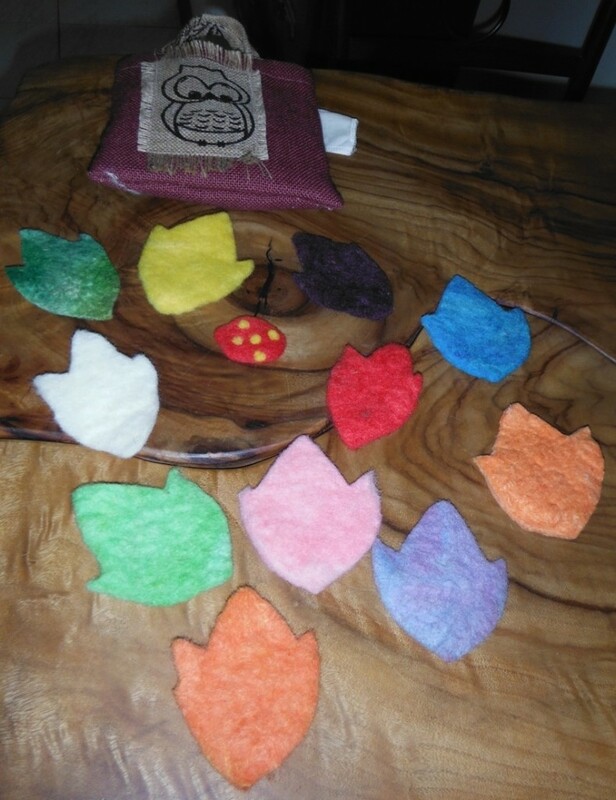 Bev made a little bag with felted pieces cut into leaves and a little bug. Floyd will be able to hide the bug under the leaves and try to remember where it is. A great game for concentration. Thanks Bev. By Lyn A.